1916: The vicious “Man-eater of Matawan” meets his end. Cut to: The premiere and record-breaking success of JAWS. The awards Steven Spielberg expected – but never came. Even the world’s most commercial filmmaker wasn’t good enough to earn the respect of his peers. The death of Robert Shaw and the impact of his legacy on one-time rival Richard Dreyfus. Spielberg passes the torch to J.J. Abrams as the ORCA at Universal Studios crumbles to dust. Steven Spielberg experiences a remembrance of a heritage that once embarrassed him, but now makes him proud. A premiere for Ready, Player, One at SXSW, and the contents of a mysterious note revealed. 1945: The saga of the U.S.S. Indianapolis – no ships, no planes, no rescue. Just…sharks. Cut to: The emotional center of JAWS: Sometimes drunk, sometimes sober – Robert Shaw’s indelible tale of the Indianapolis receives an ovation from cast and crew. The ORCA starts to sink – with all hands still on deck. The journey of a rotting shark carcass from Florida to Martha’s Vineyard. The on-set rivalry between Richard Dreyfus and Robert Shaw. A post-production panic attack for Steven Spielberg. And an unsolved murder nearby the JAWS shoot – more than 40 years later, was the mystery solved by writer Joe Hill? 6 | Get the Actors Off the Boat! From the creators of Inside Psycho and Inside the Exorcist comes a new story about a classic movie and its inspirations. A tale of a modest thriller that became an ordeal and then a disaster and then a phenomenon and then a classic. A story of one man, a fresh-faced, inexperienced director who nearly wrecked his promising career and became the most important filmmaker of our era. 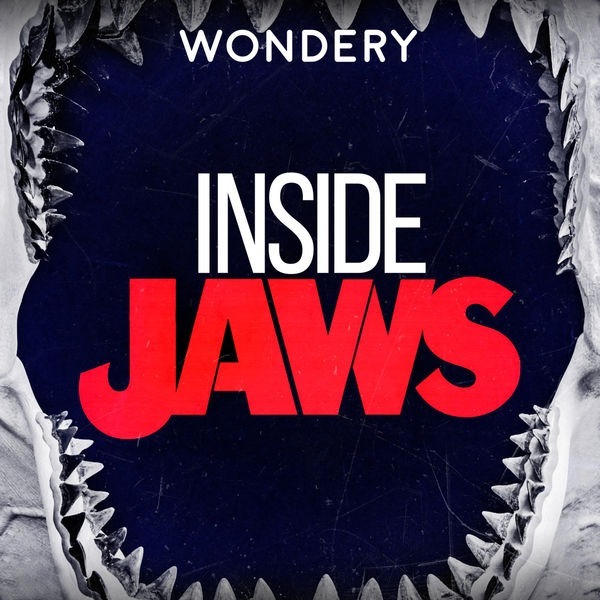 This is Inside JAWS.Want to add this RSS link to your Apple Podcast App? You don’t have access to this RSS feed. *to add this automatically to Apple Podcasts. Learn how to do this in our FAQ section at Wondery.com/plus.If your app doesn’t support private RSS links, you can stream and listen at the player below. *Note that this is a private RSS feed. Each member who is signed in will receive their own unique RSS Feed.